Hotel Fine Garden Senboku boasts spacious guest rooms with a massage chair, a spa bath and karaoke facilities. Free Wi-Fi is also provided. Featuring a romantic ambience, each room at Hotel Fine Garden Senboku is fitted with a comfortable king-size bed, and comes with facilities like flat-screen TV, DVD player and fridge. The en suite bathroom includes a hairdryer and a range of amenities. Sakai Interchange on Hanwa Expressway is a 10-minute drive away. 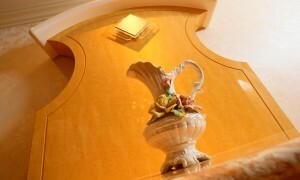 Hotel Fine Garden Senboku has a 24-hour front desk, which offers a free luggage storage service. Drink vending machines are available on site. Kansai International Airport is a 40-minute drive away, and Rinku Outlet Shopping Mall is a 30-minute drive from hotel. Breakfast can be served in the guest room. Just south of Osaka City is the Sakai/Senboku area. This region, known for its ancient ruins and burial mounds, has long been a point of commerce between Japan, Europe and China. Indeed, some of history’s most famous characters – Emperor Nintoku, Nobunaga Oda, Sen no Rikyu, Francis Xavier, and Akiko Yosano – all once stood on this land gazing out at sea. Kansai International Airport is a 40-minute drive away, and Rinku Outlet Shopping Mall is a 30-minute drive from the property. From JR railway Hanwa Line Otori station is only way to take taxi. It will takes around 10 minuets and the fare is less than 2,000JPY. ■Fare infomation is anounced on April 2015. Please make sure the latest information at online on your own. 1.Take Limousin bus from Itami(Osaka) International Airport to Tennoji. It wil take around 30 minets and the fare is 640JPY. 3.From JR railway Hanwa Line Otori station is only way to take taxi. It will takes around 10 minuets and the fare is less than 2,000JPY. 2.Take taxi from Otori station to our hotel. It takes 10 minuets and the fare is less than 2,000JPY. Parking Free parking is possible on site (reservation is not accepted). Pet Policy Pets are not allowed. © Copyright 2019 Leisure Planning Pte Ltd. All Rights Reserved.